A fantastic array of classic AWW recipes presented in a lovely retro-style hardcover edition. While the included craft activities are fairly pedestrian, the recipes themselves are a wonderful. 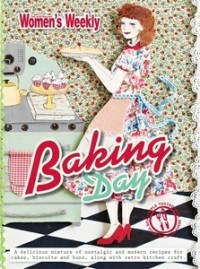 If you're looking for straight forward baking ideas this is a good book to have on hand, particularly if you're young and don't have any of the older AWW recipe books in your collection.